Since the Festival’s inception, A Conversation With… has been an integral part of HIFF, and in 2016 we were pleased to welcome Holly Hunter, Edward Norton and Aaron Eckhart to participate in individual talks as part of this always-enlightening program. 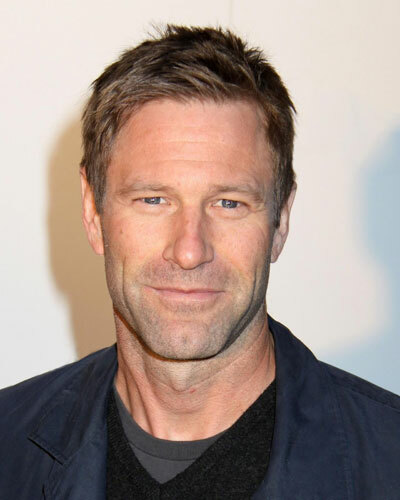 With numerous critically acclaimed credits in lead and supporting roles, Aaron Eckhart is positioned among the industry’s finest actors. He has earned considerable acclaim for his roles, including the love interest of Julia Roberts in ERIN BROCKOVICH for director Steven Soderbergh. Originally from Northern California, Eckhart studied theatre and film at Brigham Young University, where he met and appeared in many of Neil LaBute’s plays. His portrayal of a love-scorned, vengeful man in LaBute’s controversial film IN THE COMPANY OF MEN was his breakout role, followed by YOUR FRIENDS AND NEIGHBORS, NURSE BETTY and POSSESSION. Eckhart earned both Golden Globe and Independent Spirit Award nominations for his starring role in Jason Reitman’s directorial debut THANK YOU FOR SMOKING for Fox Searchlight. Other select film credits include Sean Penn’s THE PLEDGE, RABBIT HOLE (opposite Nicole Kidman), Oliver Stone’s ANY GIVEN SUNDAY, Ron Howard’s THE MISSING, Brian De Palma’s THE BLACK DAHLIA, and Christopher Nolan’s THE DARK KNIGHT, in which Eckhart starred as Harvey Dent/Two Face. On stage, Eckhart’s theater credits include Michael Cristofer’s Amazing Grace opposite Marsha Mason. Eckhart can currently be seen in theaters co-starring with Tom Hanks in SULLY, directed by Clint Eastwood. At HIFF 2016, Eckhart costars as boxing trainer Kevin Rooney in BLEED FOR THIS, opposite Miles Teller. Jenelle Riley, Deputy Awards and Features Editor at Variety, moderated. A prominent actress on both stage and screen, Academy Award®-winning actress Holly Hunter has portrayed a vast array of complex and powerful characters throughout her career. Hunter has been nominated four times for Academy Awards, including for her performances in BROADCAST NEWS, THE FIRM and THIRTEEN. In 1993, Hunter won Best Actress at the Academy Awards, the Cannes Film Festival, and the Golden Globes (among others) for her performance in THE PIANO. Hunter’s distinguished career features countless iconic performances on stage, screen and television, including the films BROADCAST NEWS, RAISING ARIZONA, and CRASH, the acclaimed Sundance Channel series Top of the Lake, and TNT’s edgy drama Saving Grace. Recent credits include BATMAN V. SUPERMAN: DAWN OF JUSTICE, MANGLEHORN and the Lifetime/History miniseries Bonnie & Clyde. She has been nominated for six Primetime Emmy Awards®, winning twice, and five Screen Actors Guild Awards. Hunter will soon be seen alongside Zoe Kazan and Ray Romano in THE BIG SICK, directed by Michael Showalter, and BREAKABLE YOU, directed by Andrew Wagner and co-starring Alfred Molina and Tony Shalhoub. At this year’s festival, Hunter can be seen in the US Premiere of Katherine Dieckmann’s STRANGE WEATHER, our Southampton Opening Film. 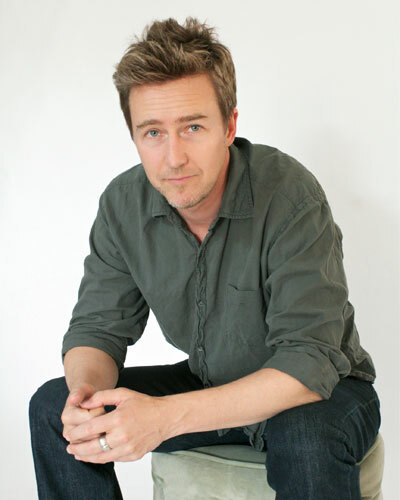 Edward Norton, a prolific actor, director, producer and activist, is known for his roles in Alejandro González Iñárritu’s BIRDMAN OR (THE UNEXPECTED VIRTUE OF IGNORANCE), David Fincher’s FIGHT CLUB, Spike Lee’s THE 25TH HOUR and other highly regarded films, such as AMERICAN HISTORY X and PRIMAL FEAR. As a producer, Norton’s credits include THE PAINTED VEIL, THANKS FOR SHARING, LEAVES OF GRASS, the documentary MY OWN MAN, and KEEPING THE FAITH—which he also directed—starring Ben Stiller and Jenna Elfman. Norton will be seen next in David Frankel’s upcoming film COLLATERAL BEAUTY alongside Will Smith, Kate Winslet, Keira Knightley and Helen Mirren, in theaters December 2016. Norton is also the founder of CrowdRise, a social fundraising site for grassroots philanthropy that is now one of the largest crowdfunding platforms in the world, having raised over $500 million for over 30,000 non-profit organizations. BUNKER77, which Norton executive produced, will have its US Premiere at HIFF 2016 on October 7. Conversation moderated by David Edelstein, film critic for New York magazine and CBS Sunday Morning, Chairman of New York Film Critics Circle.